Calls for MJ Akbar to step down had grown louder after over a dozen women accused him of sexual harassment, sexual assault and inappropriate behaviour. In a huge victory for the #MeToo movement in India, Minister of State in the Ministry of External Affairs MJ Akbar, accused of sexual assault and sexual harassment by over 20 women, has stepped down from his post in the ministry. 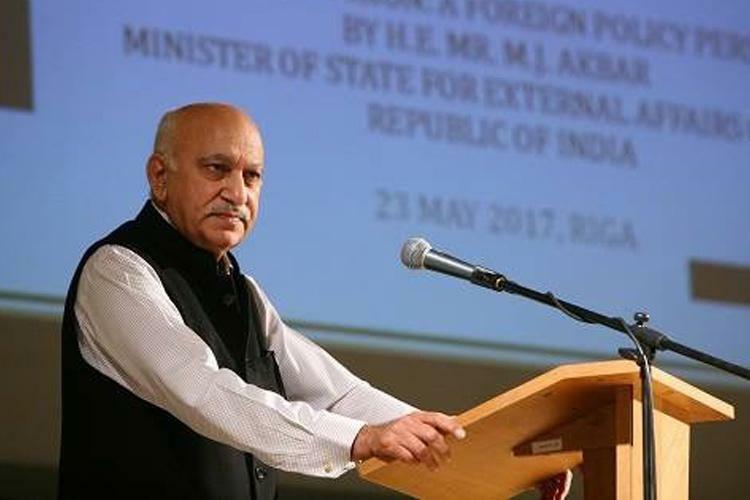 In a statement released by media, MJ Akbar stated that he had decided to step down from his post and fight what he has termed as ‘false allegations’ in his personal capacity. “Since I have decided to seek justice in a court of law in my personal capacity, I deem it appropriate to step down from my office and challenge false accusations levied against me, also in a personal capacity. I have, therefore, tendered my resignation from the office of Minister of State for External Affairs. I am deeply grateful to the Prime Minister Shri Narendra Modi and to the External Affairs Minister Smt. Sushma Swaraj for the opportunity they gave me to serve my country,” according to MJ Akbar’s statement. MJ Akbar has filed a defamation case against journalist Priya Ramani, who was the first woman to come out with her account of alleged sexual harassment by the former minister. Twenty women who worked with MJ Akbar during his career as a journalist have asked the court to consider their testimonies of being subject to MJ Akbar’s sexual harassment and misconduct, or were witness to the same. Calls for the minister to step down had grown louder after over a dozen women had put on record their gut-wrenching stories of sexual harassment, sexual assault and inappropriate behaviour by the minister. MJ Akbar, who was a part of the NDA government, previously held various senior positions in multiple news media organisations, including The Telegraph, Asian Age and India Today. There was a common pattern to survivors’ accounts – he would set up job interviews with aspiring women journalists in hotel rooms, repeatedly call them to his office cabin for meaningless conversation and chatter, entice them with major stories, send them out of the workplace and meet them at a hotel at odd hours. Minister of External Affairs Sushma Swaraj, who had ducked questions by the media when asked about the allegations on Akbar, was criticised for her silence. Union Law Minister Ravi Shankar Prasad refused to answer any question other than those pertaining to Cabinet decisions including on Akbar and the #MeToo campaign. Political parties like the Congress and the CPI(M) had called for Akbar’s resignation as well. Several Indian women from various fields have been taking to Twitter to speak up about the sexual harassment and sexual assault that they have faced. Allegations have been made against many prominent men, including stand-up comedians, singers, senior journalists and editors.